Is it a busy spot with foot traffic? Not sure. It was late on Saturday afternoon, wouldn’t have a clue. Nine today announces the appointment of senior media sales executive Nick Young to the role of Director of Sales – Digital. Young will be responsible for the sales strategy and revenue growth for 9Now and nine.com.au. He will lead Nine’s sales team in Sydney, Melbourne, Brisbane, Adelaide and Perth, Nine’s programmatic sales team, as well as Nine’s advertising product and data teams. Young joins Nine from the Multi Channel Network (MCN) where he is currently Chief Sales Officer. He has previously held senior roles including National TV Sales Director, and had a five-year stint as National Digital Sales Director. “Nick Young is Australia’s most experienced digital sales leader and I’m rapt that he is now a part of the Nine team,” said Michael Stephenson, Nine’s Chief Sales Officer. Young will take the reins of Nine’s digital sales team from Pippa Leary, who has flagged her intention to return to professional board roles later this year. “In many ways this is Pippa handing the 9Now baton to Nick,” said Stephenson. “Both are industry leaders with a strong digital heritage, and Nick will be tasked with building on the strong foundation set up by Pippa within our BVOD business. “When we asked Pip to give up her career as a board director it was with a clear mission: to drive 9Now’s commercial success. Over the past two years she has achieved more than we could have asked for, making 9Now the clear commercial leader in Australia with a product grounded in the strength of its data proposition and more than seven million sign-ups. 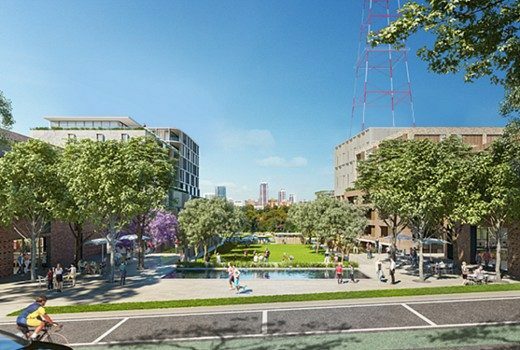 Nine has had the development application for the fitout of the ground floor and level 1 production studios at the new North Sydney building rejected by North Sydney council. The council website states the application is currently under review.